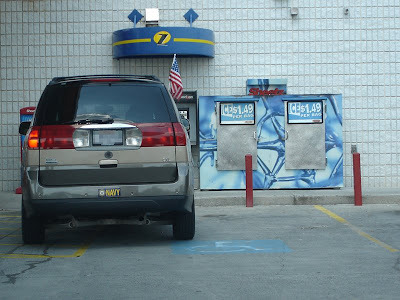 Being Handicap is no excuse for poor parking. If you aren't able to park strait (or in this case in between the lines) then you probably shouldn't even be driving. If anyone takes this personally, get over it, I'm not attacking you, or any one with disabilities; all I'm saying is that if you are able to drive a vehicle then you should be able to park it in the lines, so I'm not being mean even though it really does sound like I am.